What would Bella do if... she was on Survivor? Probably trip over her shoelaces, get hurt and then get kicked off of the island...but not before all the guys fell for her and all the girls got jealous LOL!!!! 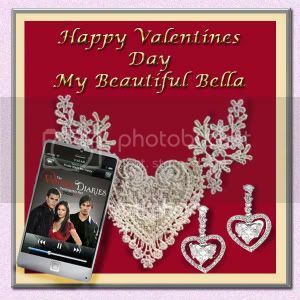 What would Bella do if... Nessie brought home a guy other than Jake??? I do like these haha (: So is this what we do now or is it just until we think of another story? Hi Team Bella! I like your new game, may I participate? Renesmee_Bella wrote: What would Bella do if... Nessie brought home a guy other than Jake??? What would Bella do with all those dress that Alice put in her dressing? Sorry for the interruption, if you are interested, then we have started a new thread with the question of which Hogwarts House our beloved Twilight characters would be in. You can check out the thread HERE. I think you're free to join in at any time, Kate. The more, the merrier, right! I think it's fine if you want to start another story. I've never writen anything like that before, but I would gladly give it a try and participate. I do think the questions are more accessible if more people want to join, since there are only like four people here now. *shrugs* But you made a pretty amazing story with just two people. I'd like to think she would eventually start wearing them more. When she gets more comfortable in her vampire body. But probably still only on special occasions. That was kind of serious.. . Now as an attempt to come up with a funnier response: She would hold a burning ritual for them, during which she tries some voodoo magic to make Alice never buy her a dress again. But of course she burns a whole part of the forest down and pricks herself instead of the voodoo doll in the process. What would Bella do if she could see the past (like Alice sees the future)? What would she like to see? Question: Can we comment on other peoples answers or answer older questions in between making up new ones? Not that I have something on my mind right now, but it might be fun to discuss them a little bit more. I have to say, if Renesme ever brought home a man other than Jake, it wouldn't end well. Anyone wanting to date our daughter would need to be able to hold off both our vampire family and an entire pack of wolves. I am not sure what could possibly do that, unless Superman is for real. My only problem is that the iPhone doesn't like cold, bloodless fingers. I may need help with it. Bella, Edward appears to have been especially thoughtful this year. I am quite impressed with your beautiful new earrings; I assume they are clip-ons? 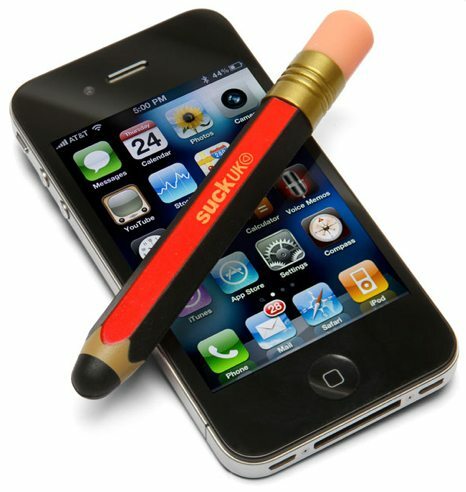 BTW, there are special styluses out there for the iPhone that might help someone in your, ah, condition. I’m sure if you hint around Edward can get those for you. Also, you might want to check to see if Nessie is carrying around a box of Conversation Hearts candies. Sorry, I’m just trying to give you a heads up, I'll say no more. Oh my! Hi Bella So nice of you to stop by. It has been kind of quiet, but I'm sure Team Switzerland is very honored by your visit. Thank you for answering the question! And you never know, in a world where vampires and werewolves exist (oops, sorry, shapeshifters) Superman could be real as well. Happy Valentines Day to you too! (even though it comes a day too late) I love the gift from Edward! Makes me wish I had a Valentine as well, but (as usual) I got nothing. So hold on to your man, he's a keeper! But I have the feeling you already knew that. corona is right, there are special styluses for the iPhone. I really like this pencil-shaped-one. I also read something about special gloves... O here it is. They conduct just like human fingers and they look beautiful (I think Alice would approve). I also loved the painting you made for Edward! It's a really nice gift. I didn't know you could paint that well. Is that a new hobby? Today I was riding my bike (I live in Holland, we go everywhere on a bike) with my fabulous new high heels on. I usually only wear heels to party's but today I just felt like wearing them for no reason. So I came to a very busy intersection and when I crossed the street I lost one of my heels. It literally flew off my foot and landed in the middle of the road! I had to leave my bike at the other side of the street and run (more like stumble with one heel on) back to retrieve it while the lights turned green for the waiting cars. I couldn't just let it get run over right? Luckily, while the people in the cars did laugh at me, they also waited for me to pick it up. I feel like she would try to never trip again because if she did then she would be able to see that one slip-up over and over again... And I think she would re-visit all her moments with Edward and maybe try to look ever farther to spend some time with Renée, if only in her mind!! What would Bella do if... she could have her own television show? Suzan ~ Ahahaha!! That's hilarious!!! I'm glad you saved your shoe though! And yes, if only we all had our very own Edward!!! Anywho, I'm off for now. I hope I have time tomorrow to get on!! If not, keep the thread going!!! !